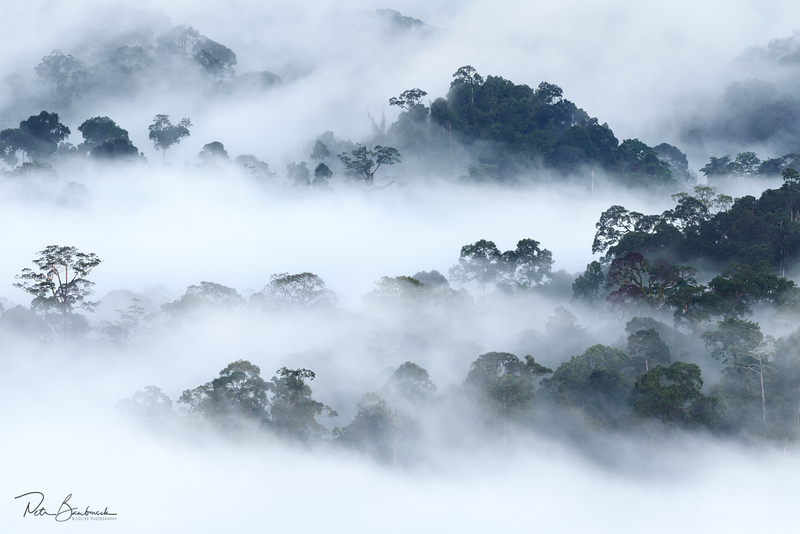 I got back from a month of photo-trotting through Malaysian rainforests. I spent 3 weeks in amazing Borneo and a week of remarkable wandering through night rainforests in mainland Malaysia. Suffice to say that both were totally unforgettable experiences. First, we visited Mt Kinabalu and its surroundings where we had a chance to photograph fascinating local scenery, waterfalls and breathtaking sunsets. This was also the first time when I encountered spiders with unusual formations on their bodies. These were later a common sight along our entire journey. Then, we moved up to Sepilok, an area abundant with bird life. We saw kingfishers, broadbills and many varieties of sunbirds that, in this neck of the woods, replace American hummingbirds. We also had a chance to visit local sanctuaries for orangutans and Malaysian bears, and lastly, we even sneaked in a trip to see the Proboscis monkeys. To conclude, we spent many hours river cruising the Kinabatangan looking for herons, kingfishers and hornbills (whom we saw 6 out of 8 species) and let’s not forget the Proboscis monkeys. After that, I was on my own. I visited my long-time dream the Danum Valley, where in spite of being constantly accompanied by pesky leeches, I managed to encounter the Gibbons, dusky leaf monkeys and many other species of animals that I saw for the first time in my life. Shortly after getting back home, I left again to mainland Malaysia, tracking native herpetofauna for 7-9 hrs every night guided by a phenomenal photographer and a local guide Kurt. All in all, we saw countless species of lizards, snakes, frogs … I’m still dizzy from all of it. Such an intensive expedition was, of course, meant as a challenge test for my new gear (check my previous article). The internet is full of heated discussions whether or not Olympus is of any use for quality wildlife photography and I believe I have now compiled some practical evidence. My photographs were created during rain, sun, at night, on a boat, in mud and of course in a comfortable hideout. I captured mammals, such as orangutans, macaques, langurs or Proboscis monkeys, tarsiers and slow lorises. 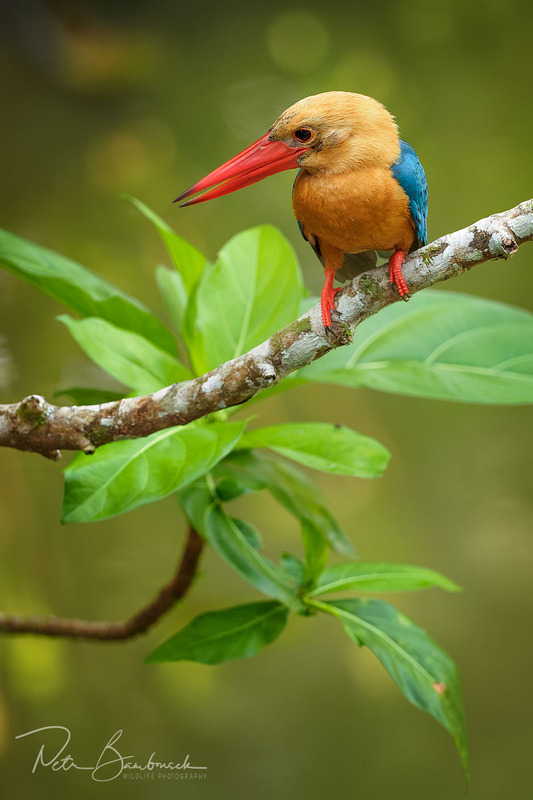 While sunbirds, kingfishers, trogons and broadbills dominate among the birds I photographed; snakes, geckos, dragon lizards and Agamidae were among the reptiles. Above all else, I have captured a number of extremely interesting frogs and insect. In short, I believe I tested my camera photographing various species and thus testing all photo modes possible. Most animals were either still or were slowly but relentlessly in motion. On other occasions, they fought or simply vanished in a blink of an eye. Even though I was practically given some scenes for „free“, most of them I needed to be really patient with and walk and wait for hours. On average, I spent around 10-12 hrs in the rainforest every day. 2x bodies E-M1 Mark II | M.Zuiko 300mm/4 IS | M.Zuiko 40-150mm/2.8 | M.Zuiko 7-14mm/2.8 | M.Zuiko 12-40mm/2.8 | M.Zuiko 25mm/1.2 | M.Zuiko 60mm/2.8 | M.Zuiko 9mm/8 Fisheye | convertor 1.4x. According to my Lightroom EXIF data, the M.Zuiko 300mm/4 IS lens was the one I used the most as it was ready on my belt practically all the time. The second most used lens was M.Zuiko 40-150mm/2.8 and then M.Zuiko 12-40mm/2.8. I used the first two in combination with a 1.4x converter. So, if I had to specify, which lenses are indispensable for me, I’d have to say it’s these three. Surprisingly, on the other hand, I barely used my M.Zuiko 60mm/2.8 lens. How is that possible when more than 50% of my images are macro shots? Understandably, I was convinced a macro lens is essential in my gear as I’ve always had it and used it. However, I didn’t manage to find a scene that I wouldn’t be able to shoot with the above three lenses. My 300mm lens sharpens from 1.4m, and when coupled with 2 times crop factor a maximum focal length of 600mm is achieved, which is more than satisfactory for lizards, butterflies, dragonflies or larger bugs. 0.48x magnification is for this type of scene more than sufficient, in my mind. By adding a 1.4 extender it is possible to go even closer (0.67x). My second tele-zoom works similarly. On a few occasions, when I need to approach even closer, I used an M.Zuiko 12-40mm/2.8 lens that has maximum image magnification of 0,6x. 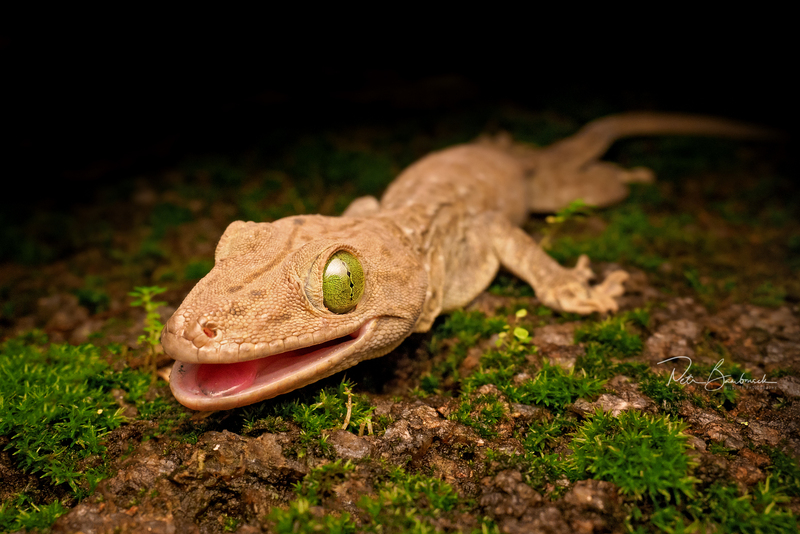 I took 90% of my night shots of snakes, lizards and frogs with the above. By zooming in, I even took advantage of different perspective. In the case of even further magnification, I have a Raynox secondary lens that is much faster to put on than swapping a lens. I have not used this lens once during the entire trip, though. I could see that using 1:1 magnification thanks to my macro lens is rare for me. One thing that I found out during this trip was that once you leave a full-frame behind you need to forget everything you knew about the lenses too, and focus on the strong points of a new system, instead. I had both of my bodies at the ready – one around my neck, the other in my bag, mostly with a 40-150 or 12-40 lens. It was the first time, also, when I hit the road with a Peak design strap that I found totally ingenious. The original Lite version kept chafing the skin on my neck after which I returned back to the original Classic version. After tens of hours of wearing a 300mm lens, I can honestly say that I never wore anything so comfortable. As a result, reduction of the weight of my kit is significant. The online discussion on the internet relating to this topic is always amusing to read, if not tragicomic. There seem to be numerous accounts of comparisons of several grammes on one body and a lens. Often, the comparing relates to a body two generation older than this model of Olympus and a lens, which after converting to a full-frame gives about 120mm shorter focal length. If an Olympus owner praises radical reduction of the kit’s weight, it’s often compared to a whole scope of lenses, not a one lens kit. For me, that represents 2 bodies, one with a grip, and 6 lenses with a tele-zoom lens adapter with a range of focal points (converted to an FF) 14-840mm. They are all very fast, sharp and even splashproof, dustproof and freezeproof. All this combined weighs 7.58kg which is about half my original weight and definitely not to the detriment of my performance. As you can see from my photographs, the number of scenes that I indulge in is so vast, that I try to use all my lenses and I’m sure that it’s definitely the one that I’d leave behind I would suddenly desperately need. Understandably, I’ve always carried full gear no matter what even with a DSLR. Despite the fact that the images are not identical to an FF DSLR, I am exceedingly satisfied with the quality of my images. Just as it is quite common to compare the actual weight with the weight of low-end cameras, it is prevalent to compare outputs quality with the most expensive ones. Then, a view that the camera is actually not as light as some claim, or that the quality of images if far from decent, is quick to be formed. So which one is it? It’s clear that if you compare Olympus photographs with, let’s say images from 1Dx II or D5, the scene will be comparatively same in size. If you aim to set your ISO to e.g. 1600, then the outputs of the leading manufacturers will definitely prevail. To be honest, it would be sad if they didn’t. That doesn’t mean though, that the outputs are completely useless. Personally, I think they are above expectations, and I’d go as far as to say that they are beating for example EOS 7D MII. First of all, I wasn’t expecting them to smash the best DSLRs, but I wanted them to be comparable with my crop-sensor cameras. This was definitely achieved, and possibly it even exceeds it. As I mentioned before, I found advantageous to totally forget all about my other cameras but to leverage advantages of the new system. One of the strong points that affect the final output greatly is its stabilisation. Again, based on my EXIF data in Lightroom I can see that while the most common ISO on my previous trips to Borneo was 800 – 4000, this time my highest was 1600 and that’s still only about 200 images out of 8500 in total. More than half of the photos I took at ISO 200, 400 and 800. All due to superb stabilisation system. Plain comparison of the ISO results on a full-frame against the Olympus, is certainly for the full-frame. Practically though, it means that I am currently using ISO 800 where I’d previously use ISO 2000-2500. Noise levels are therefore relatively similar. I have always been used to de-noise my images when post-processing so that the quality of my final images ready for presentation is not hindered drastically, as one would expect by using testing discs. At high ISOs, the amount of noise on Olympus is without a doubt much higher. However, on the same note, there really wasn’t a reason why I should be using them. This logically suggests a question that I know from various discussion forums: “stability is not changing the fact that the animals are constantly moving and that photographing the scene requires fast shutter speed.” It makes sense, though. Shooting wildlife is often a spectacle full of action. Have a look at some wildlife photographer gallery and first cross out all the workshop shots (i.e.,. Those with birds of prey, owls, tigers, leopards, etc.). Now have a go at finding a really action photo. Surprisingly, you may come to the same conclusion as I that wildlife photography is not much about action. I’m not saying that the photos are motionless, but that action is not as dominant as you’d expect. 80% of my photos capture various calm animals and differ only in artistic representation. When looking at the remaining 20%, that are action shots, ask yourself a second question: “How often is the scene in really bad light conditions that require high ISO? Perhaps 5%, maybe 10%. So, you can take about 10-15% of action images with an utmost peace of mind. And then there are about 5-10% images that this Olympus will not cope with. In conclusion, you have about 90-95% of various scenes that the inbuilt camera stabilisation software will really help you in setting low ISOs. And then you have about 5-10% of photos that you can forget about. You will come to the same conclusion if you look at longer expositions. Approximately, you can take 5-10% more of handheld photographs with Olympus thanks to the fact that you can stabilise your camera for much longer than when compared to a DSLR. Besides, it is not set in stone that you have to photograph absolutely everything that your lens registers. If you take a 300mm/2.8 lens on a full-frame and stand next to a guy with Olympus with the 40-150mm/2.8 lens using the same aperture on the same scene, the FF output will definitely have more delicate bokeh. But does it mean that you should forget to create stunning bokeh and blurry backgrounds when you have Olympus? I am not going to recount the percentages again, but I am going to reiterate one of my statements from the beginning of the article: let’s forget how a full-frame works. You can achieve delicate bokeh with an Olympus but in a slightly different way. The blurred background is achieved by a combination of several factors, not just a wide aperture. From the factors at play, you might need to increase the focal length, the distance between you, the background and your subject, the subject’s distance from the background, not to mention what is actually in the background itself. So, if you want to shoot at wide aperture value with a tele-zoom (e.g. 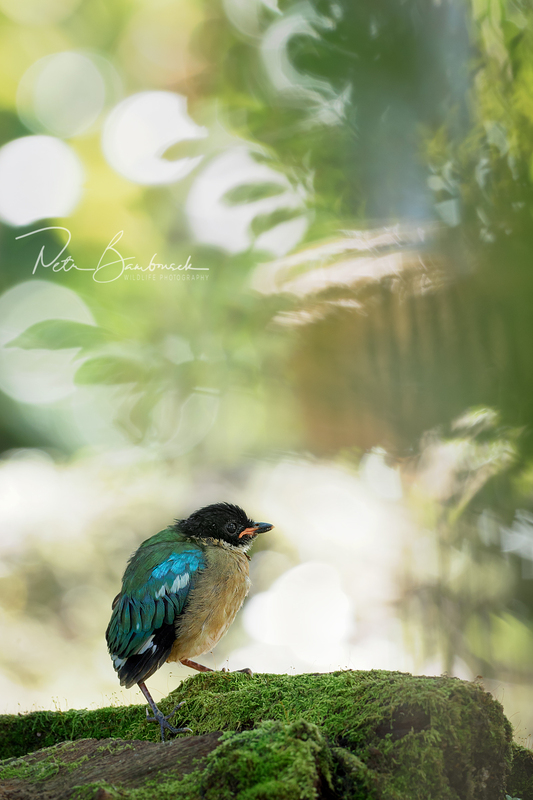 Olympus 300mm/4, which is an equivalent to a 600mm on a DSLR) being relatively close to your subject, which is very far from the background, you can achieve increasingly fine bokeh easily. Sure, with an FF it’s easier, but not every time. It’s definitely not a given, that whenever you shoot with an FF DSLR at wide aperture, you will always achieve captivating bokeh. 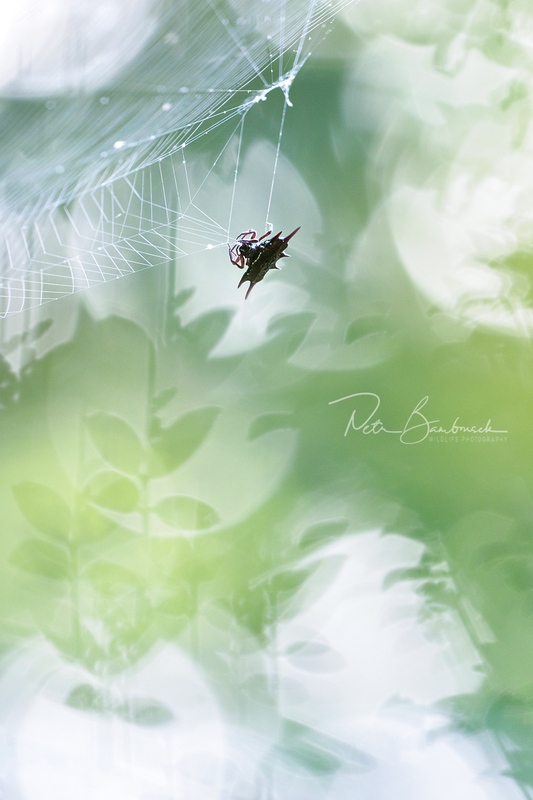 So, to conclude, bokeh is indisputably a weak point of the system that I am currently using, but if you are thinking of using it and are willing to change your habits, it is certainly not an insurmountable barrier. The focusing mechanism of Olympus is amazing. It’s crap. It’s okay. Well, I have all of the above experiences, and I’d say there are a few different variables at play. One of them is the actual set-up of the camera itself. When taking some action shots (e.g. fighting monkeys or flying birds) the following proved helpful to me: I slightly slowed down a maximum continuous shooting speed. The camera then seems to focus better. It’s also better to re-adjust the stabilisation setting that has several options and are pretty fast to change just by pressing an OK button. The last crucial variable is the setting of the auto-focus that you can access in your menu under ‘Lock-AF’. All in all, I’d say the number of successful, sharp action shots is comparatively similar to those coming from my DSLR. I definitely wouldn’t say that neither Canon nor Olympus has noticeably better product. Where the Olympus is significantly stronger are the extremely addictive auto-focussing points. I now take it for granted that I am able to focus practically at any point I choose. The lower version of Olympus OMD cameras can even minimise these points and go deeper, which really surprised me as I’d really welcome this when shooting scenes like jungle throughviews for example. I can use zoom button to maximise the area I wish to focus in, but that is detrimental in losing the overall overview of the scene I shoot. However, thanks to this I am able to discover areas out of focus well before I would press the shutter button. In conclusion, I consider the focusing to be very good. Once you accept and come to terms with how each setting/ function is dependent on each other, the focusing system is very good. Should you wish to solely concentrate on shooting e.g. flying birds in one constant direction, the best option I’d recommend is to save your preferred setting under the Custom menu (C1-C3), which you can then select instantly. 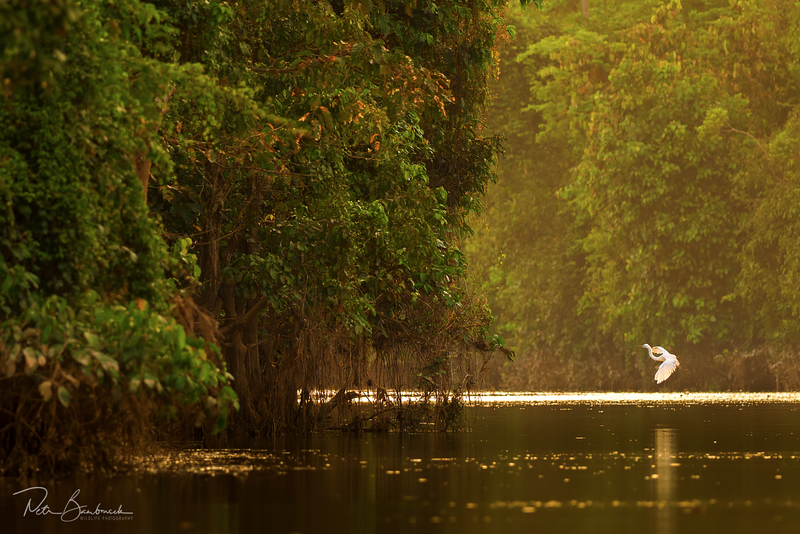 When in Borneo, we were often shooting from our boat white herons feeding near the shore. They took off every time our boat would approach. Using both, a 300mm lens, as well as a 1.4 extender, more than 80% of my shots, are beautifully sharp. On the same account, I was able to focus on a pigeon flying across a river, which forms only a fraction of the overall scene. On the other hand, my fighting monkeys are only about 50% in focus. In general, I would confirm that the new system can focus just about the same as the previous one and is able to produce super sharp images even those out off-focus. So, no harm was done, but nothing gained either. The ability to focus in the AF-C mode (continuous focus) drops in low light, but the AF-S mode continues to works well almost until full darkness. What I find as major improvement is the aforementioned ability to focus on still objects when you can pinpoint the sharpness position well before pressing the button. 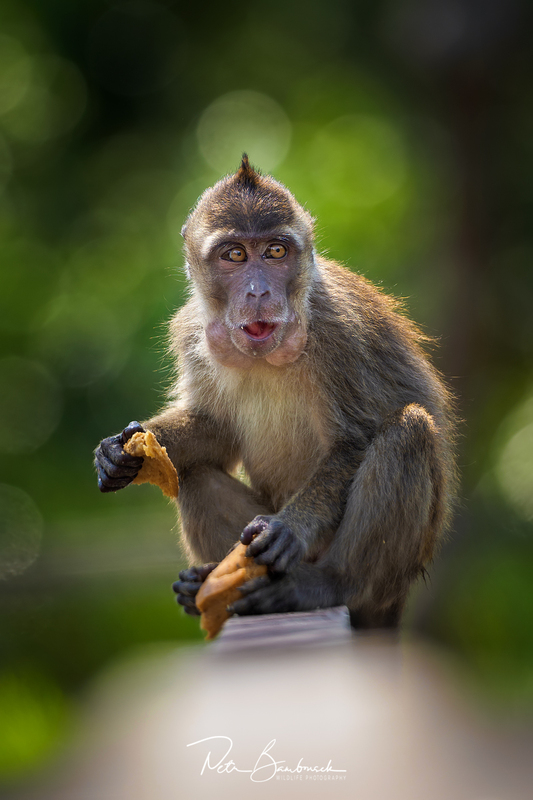 To be exact, you are bypassing the element of surprise after the shot is taken due to the AF suddenly refocusing on something else in front or behind an animal. Undoubtedly, the new Olympus has definite room for improvement, which will certainly come with the anticipated new firmware upgrade. When I had the chance to test this camera, I immediately turned the silent shooting off. 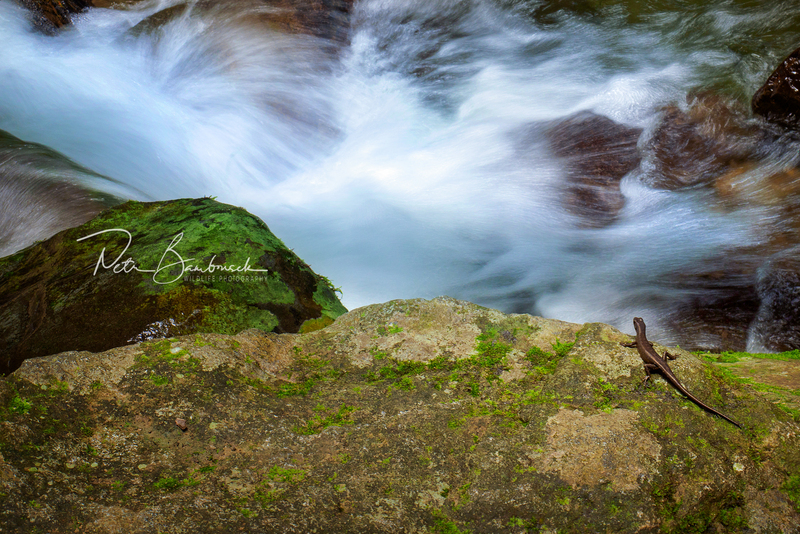 It is certainly great that this allows you to get really fast values but the shutter is so quiet that I would sometimes take unwanted pics when taking my camera out of the bag. The ‘L’ setting, which is reasonably fast, quiet and allows recomposing in between shots, is my preferred option. I decreased the frequency of shots down to 8 fps. But then I got to a place with several unusually noise-sensitive birds that although seemingly ignorant to my presence as soon as I’d press the shutter, they flew off. I didn’t want to believe that it was because of this but I changed the shutter volume to an „L<heart>“ mode nonetheless. And voila, the problem was solved. I then spent several hours by that tree, and the birds were relaxed and poised. Since then, I got totally accustomed to this setting and left it unchanged. 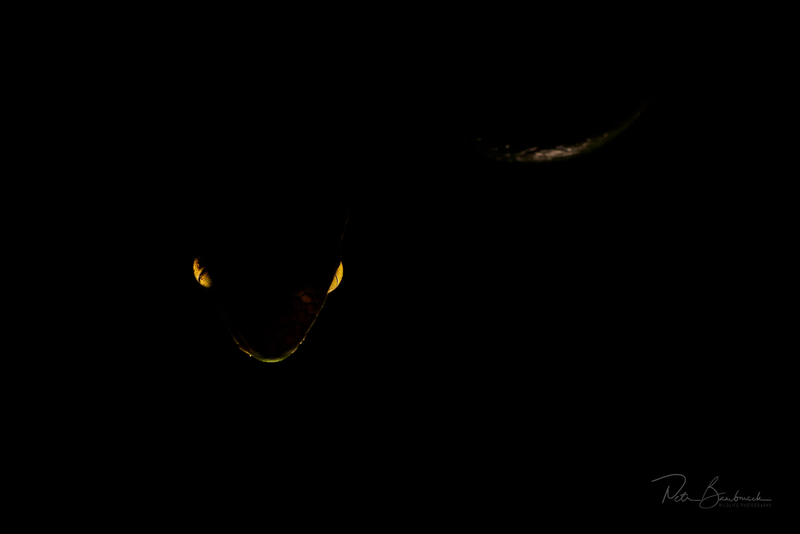 Once, during a night shooting, a friend of mine was waiting patiently for me shoot a snake that we found. After a few moments of silence, he asked me what’s wrong and was quite surprised to hear that nothing is the matter, that I’m in fact done. The option to shoot 60fps I used only once. 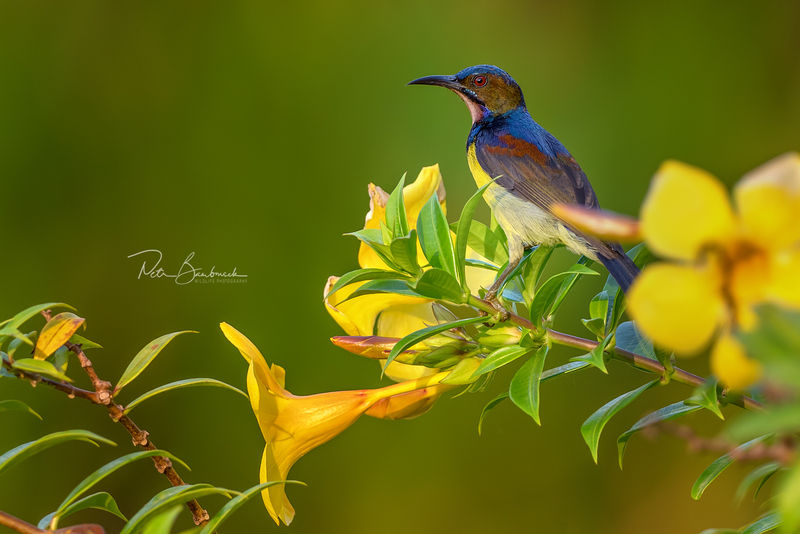 When I was waiting by that tree and re-adjusted the volume of my shutter button, I noticed that there are some sunbirds drinking nectar in mid-flight in the same way hummingbirds do this. I selected a flower where they come repeatedly and waited … and waited. One hour passed and nothing. I realised that if the bird comes and I miss it, it may take another hour before he comes back. Understandably, I didn’t want to miss my chance. So, I selected the Pro Capture H option, which allows not only to take 60 shots per second, but also it keeps 14 images before you press the shutter. I focused on the flower and half-pressed the shutter button expecting the sunbirds to fly in at any moment. The function switches itself off after one minute of inactivity, so I was continuously turning it on again. The right moment came about 5 minutes later, and I managed to engage the shutter on-time and captured the entire event on 75 images. There is a bird by the flower on 50 of them, 13 of them have the bird from the correct side I wanted. 2 of those have the wings in a position that I like out of which I can show you one. 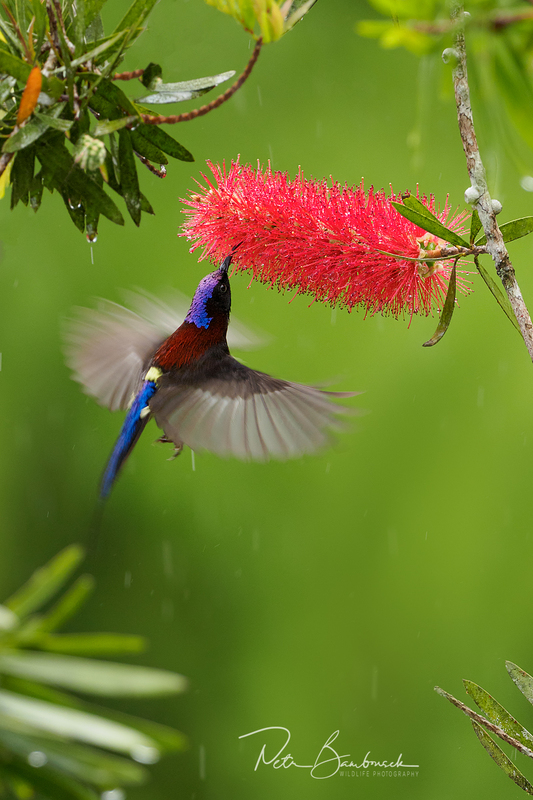 The Sunbird spent by the flower less than a second and drank from two different places. This function is great for shooting various birds flying in or out of their nest, capturing fishing kingfishers, etc. Anyway, I offer this observation more as a curiosity as anything else, since I don’t use this type of photography much. For continuous shooting, you need an ultra fast card, and there is a wide selection of them on the market. Personally, I have San Disk and Lexar, both a 32GB boasting 300MB/s read speed and 260MB/s write speed. Additionally, I bought a Sony 299MB/s card, which is the fastest card on the market, at the moment, and I use it predominantly as my main card. For super-fast continuous burst mode shots, you can only use the top card slot, but I have fast cards in both slots. After I fill in the first card, I simply switch to the other one, and sequential high-speed shooting continues. Not only it shortens the amount of time of recording the data on the card, but also it saves the battery at the same time. Slow card processor requires a longer time to write the data and therefore exhausts energy faster. When travelling, I rarely managed to record less than 1000 images per 1x battery and more often I managed to capture in between 1400-1700 images, which correlates with my experience from previous testing. As a result, if you add a battery grip, you can take up to 3000 shots which I never succeeded in one day. What I did notice though, was that the write speed decreased marginally once the card was half-way full and the time fairly extended even on a fast-speed card. I suppose, just another challenge for a new firmware manufacturers. Speaking of durability, I let the camera twice to get purposefully soaked in the rain. We were often accompanied by 2-3 hr rain during our night herping photo hikes that would last around 7 hours. Apart from two nights, when the rainforest was so abundant with wildlife that it was pointless to keep hiding my camera, I had it mostly in my bag. Even though the rain wasn’t too intense, it was persistent, and it was great for testing the camera’s water resistance. I carried the camera over my shoulder and used it for shooting continuously. Hence, the camera really withstood the splashproof test. The only problem I encountered was when I wanted to swap my hands when holding a lamp. I held my camera by its lens for over half an hour and the surrounding cold combined with the heat from my hand generated condensation on the lens, which evaporated another 30 minutes after. So, it looks as if the camera really is splashproof. Whether it is dustproof, I am not willing to test just as I am not ready to put it under a tap of running water, even though it looks as if it would stand up to the challenge. However, I’m entirely satisfied with rain. How did the camera stand the test of real photo-expeditions? After approximately 13 000 photographs mostly taken during uncomfortable situations imaginable, after tens of kilometres with a full kit on my back, I have a pretty good idea what can I expect from the camera. In my opinion, the new Olympus E-M1 Mark II’s performance is exceptional. However, by no means, I’m not saying that it’s the same as a full-frame DSLR. As I mentioned previously, it was necessary to forget what I had been used for on an FF DSLR and fully adjust to the new camera instead (not just by assigning one or two functions on the menu). It is necessary to view the camera as a totally different piece of equipment leveraging its advantages while also looking for ways to come to terms with its weak points. I’d say, the weakest points are noticeable noise at high ISOs and bokeh that is certainly not on par when a similar type of lens is used on an FF DSLR. You can work around it, though, and the technical procedures that I use you can find in my articles and under my photos. Some people are accusing me of being inappropriately critical to the technology described above. It might be that instead of whining about the disadvantages I am trying to find a way how to create decent photographs regardless. If I find a way how to create a photograph that is visually attractive, it is irrelevant for me whether the photo was taken by traditional methods or not. I am fully aware of the limitations posed by my current kit, and I am trying to stay clear of them. I am also fully aware of its pros that I make use of to the max. As a result, I’d conclude that with the new Olympus E-M1 Mark II you can definitely shoot nature in a very professional way. If you are interested in my photographs, please follow my fully updated gallery at 500px.com and my Facebook profile. what software do you use to develop your raw and finalize the images? Is it Adobe or other software like Capture One or Affinity? your pictures are the best example that you can take excellent pictures with the M43 system. Because in the end it depends in the first place on the photographer then on the technology used. You show impressively with your pictures what is possible with a M43 system and the discussions regarding full format are obsolete. I am contemplating a switch from Canon to Olympus right now and I have not come across a more balanced and unbiased article than yours. Thank you for your extensive views and showing us your amazing photos! I must commend you Petr. I am relatively new to wildlife photography and I have been slightly doubting my choice of Olympus 4:3 over full frame Nikon. I am soon to go on my third trip to Masai Mara, this time to shoot for a new book. I have doubted and doubted… but then I stumbled upon this article and I am now convinced I made the right choice! Your images are truly exceptional and show that it is much more about the eye and the person behind the camera, than how big the sensor is. Cudos to you! Really nice photographs and a great personal photographic style. Will follow you on social media! Just fabulous work! It really encourages me to “up my game”. 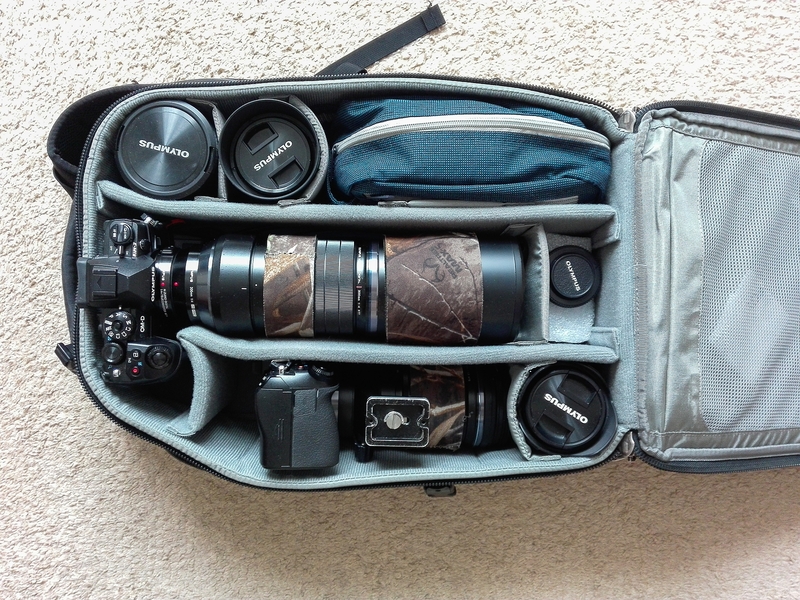 One gear question – you carry the 9mm/f8 body cap lens! Do you use it just for fun or have you got some published shots with it? Hi! Month or two ago, I have catched a discussion, some of your Czech colleagues presented on Facebook or Twitter linked one of your pictures. A version with a nice bokeh was presented for comparison with a raw overview, where was a completely different background with lot of objects. How often you change it so much using a post processing software? It looks like this is one of the biggest problems for the Olympus micro 4/3 technology besides low light conditions. Please, share with me the link to the discussion or at least to the picture. I usually use only decent post process with no removing objects. Thanks! I switched for the same reasons and same thoughts to make it work for me. Thanks for this article which helps me in advancing my skills and knowlegde. I know it is possible to get pictures like your lovely ones with the Olympus system and now I’m even more eager to learn more. Thank you. Very interesting Petr – as I get older I look for lighter solutions myself, especially when spending a day walking in the forest. I had a lot of trouble with the em-1 mark 1 in rain forest (La Selva Biological Station) in Costa Rica. After a couple of days, the camera completely ceased functioning from humidity alone, never mind getting it wet. I hope that your experience means that the mark 2 is more resistant to the elements. Awesome images, my friend! Keep up the good work! See you soon! Great Article. Excellent Pics, Nicely done. I just brought EM1 Mark 2 and I wish to learn those editing skills. any recommendations? Great article. Lovely photos. I’m always having the discussion about m4/3 limitations vs full frame users. I recently and went on a trip up to Zion in Utah. In my bag I carried (in 35mm equiv) an 18mm-800mm zoom range with most of that range in f2.8 with a trio pod and a 2 litre drink bladder. Carried it all easily. I love the system personally. Now a technique question. Photo 13z14 (I think it is). Is that a lizard? The one where the eyes appear to be glowing? How did you achieve this photo? Thanks for the review. A great read. Thanks for your comment, Pete. There is Pit Viper on the picture. All my night pictures presented here (black background) were taken with 1 diffused video LED light. 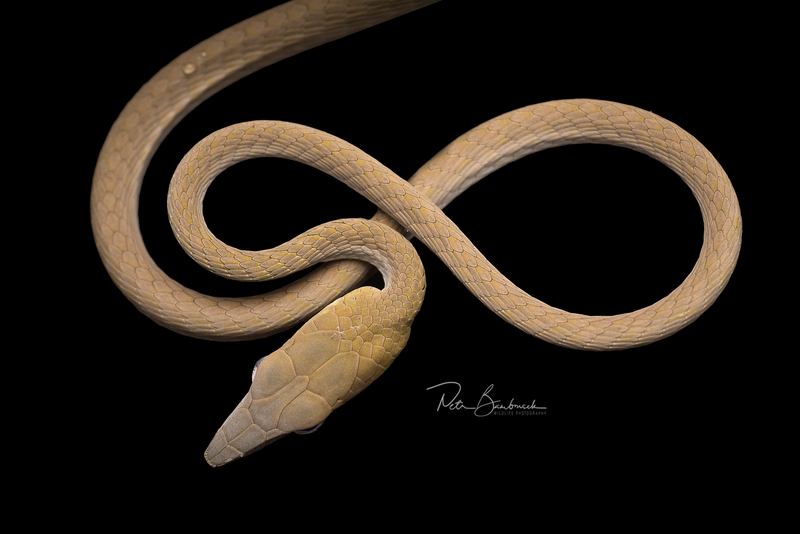 This particular picture was taken by placing the light below the snake in certain position to keep just eyes shining and rest of body fade in black. Beautiful shots and excellent article, love it!!!!! Fantastic article and brilliant images. Loved your perspective on this. Too much noise in forum chats about direct head to head comparisons between FF and M4/3 rather than your more valid and balanced review of the experience of the whole system in a practical application. Well done and much appreciated. Superb images and a great write up.